On this page you will find open access Nursing textbooks along with supplemental materials. The purpose of these subject specific pages is to highlight content for those who are interested in what open educational resources are available. This list of content is by no means exhaustive. The nature of open educational resources is very collaborative and we encourage comments about the content featured on this page, or recommendations of content that are not found here. Peer-reviewed emergency medicine cases for use by educators. A journal with personalized medicine in mind. Where clinicians and medical doctors are interested in clinical case presentations, each patient case presented in this journal provides new insights in diagnosis and treatment methods. Scenarios available for download on this site were developed by academic/practice partnerships with grant funding provided by the Nursing Initiative. The scenarios on this site are available for download to registered users at no cost. A collection of video simulations and accompanying documents for use by nursing educators. A publication home for short case reports which often do not find a place in traditional primary research journals, but provide key insights into real medical cases that are essential for physicians, and may ultimately help to improve patient outcomes. An online hub for sharing ideas and information for all things related to medical simulation. This site includes a collection of patient scenarios, audio/visual materials and other resources. 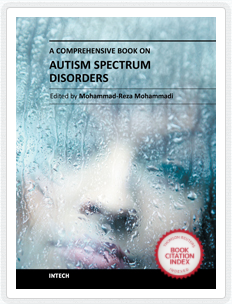 A Comprehensive Book on Autism Spectrum Disorders - Covers the most important topics related to Autism Spectrum Disorders in the efficient way and aims to be useful for health professionals in training or clinicians seeking an update. 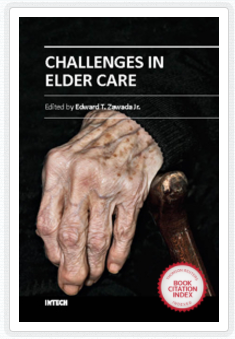 Challenges in Elder Care - Intended as a brief but focused compilation to assist with diagnosis and management of the most common serious medical problems in the rapidly growing geriatric population. 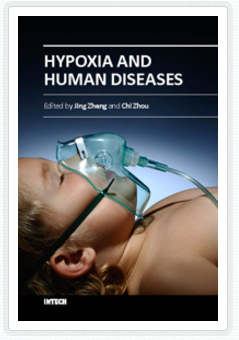 Hypoxia and Human Diseases - Provides a comprehensive and updated overview of cellular and molecular mechanisms underlying hypoxia's impacts on human health, as well as current advances and future directions in the detection, recognition, and management of hypoxia-related disorders. Brings together free, full-text scholarly articles from hundreds of universities and colleges worldwide. Includes peer-reviewed articles, book chapters, dissertations, working papers, conference proceedings, and other original scholarly work. 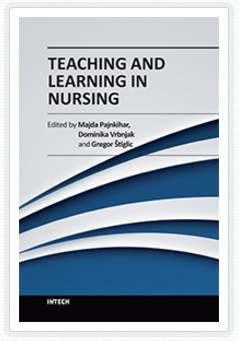 A collection of textbooks which discuss topics such as: Leadership in Nursing; Challenges in Elder Care; Pediatric Nursing, and more. A collection of over 22,000 freely available digital materials for health sciences education. Provides links to free biomedical images from the medical literature. Searching by keyword provides either the image thumbnail or the citation from where the image is from. There are further limits on the left sidebar. This site is still in the beta phase. Publications promoting educational scholarship and collaboration by facilitating the open exchange of peer-reviewed health education teaching and assessment resources. A collection of nursing education materials such as courses, textbooks, and lectures. OPENPediatrics is an open access educational platform and online community of clinicians sharing best practices from all resource settings around the world through innovative collaboration and digital learning technologies. PHIL offers an organized, universal electronic gateway to CDC's pictures. They welcome public health professionals, the media, laboratory scientists, educators, students, and the worldwide public to use this material for reference, teaching, presentation, and public health messages. The Virginia Henderson Global Nursing e-Repository (Henderson Repository) is dedicated to sharing works created by nurses. It is an open-access digital academic and clinical scholarship service that freely collects, preserves, and disseminates full-text nursing research and evidence-based practice materials. A peer-reviewed and international nursing journal that focuses on the field of clinical nursing. Strong coverage of ambulatory care, community care, family care, home, hospital, practice, primary and secondary, public health, etc. is provided. Includes research advancements in health care, preclusion of illness and the care of disabled and dying people, endorsement of a safe environment, sharing in shaping health policy, health systems management. Examines current issues and trends in nursing practice, education and research, offering progressive solutions to the challenges facing the profession. Publishes original research articles, review articles, and clinical studies in all areas of nursing. OJNI is a free, international, peer reviewed publication that is published three times a year and supports all functional areas of nursing informatics. A peer-reviewed journal with papers related to nursing and midwifery, with specific relevance to health care practice, policy and research.